McGehee Rd Super Foods does not take internet printable coupons and they do not double coupons. See the whole ad here. Let me know if you see any great deal that I missed. This is just a few things that are decent deals. There ad is a LOT like Oaktree's ad and to me Oaktree's is better this week. Best prices at AG Store this week. Earth Fare Coupons: $5 off $20 Purchase, $2 Watermelon and Free Salsa! Check your email for another good one from Earth Fare! Montgomery and Auburn stores have another Earth Fare Coupon: $5 off $20 purchase. Plus! Log in to your Earth Fare Welcome Home account to print a coupon for $2 Whole Seedless Watermelon! Take the Boot Challenge for a coupon to trade in one container of Chip Dip with hydrogenated oils for one FREE jar of Earth Fare Organic Salsa! Expires 7/12/11. Whew! I think that's all for today on Earth Fare. These are the best deals at Oaktree Foods the week of 6/29/11-7/5/11. It's a great week for grilling! Check out the deal on Oscar Mayer Wieners! Even without coupons, 98 cents is a great deal, but with the 75 cent printable from the Oscar Mayer Facebook page, you get them for only 23 cents! Oaktree doesn't actually carry the Oscar Mayer Selects hots dog (bummer!) however since it's clearly in the ad, you can price match at Walmart. I am going to do that today! Oaktree takes internet printable coupons and also doubles manufacturer coupons up to 50 cents! Edited to add: Oaktree says they don't carry the Selects but since it's in the ad, I will be price matching at Wal-Mart. Check out the entire ad here and let me know if you see any other great deals that I might have missed! Saturday 7/2/11 from 11:30 am to 3 pm at Earth Fare, enjoy an All-American Community Cook Out. Live Music! Prizes! Great Food! Summerfest the Town Of Pike Road's 4th of July Celebration at The Waters off of Marler Road. Gates open at 5, activities start at 5:30-games, prizes, live music and fireworks! Flag Boat Parade begins at 10 am at Kowaliga Marina on Lake Martin. Boats of all sizes parade from Kowaliga Marina to Children's Harbor and back. Watch from the shoreline or from boats for FREE. Fireworks at Stanley Jensen Stadium FREE begin at dark. Russell Lands Fourth of July Fireworks and Celebration at Lake Martin Amphitheater Admission is charged for the concert and other activities but you can enjoy the fireworks for FREE from the adjacent open field or from a boat. Cloverdale-Idlewild Parade 2 pm a the corner of Plymouth and Lexington. Ends at Bottom Park on Cloverdale Rd. Drums, bikes, floats and program at end of parade. Dress in your red, white and blue and join in this old-fashioned 4th of July celebration. MAX Fireworks Spectacular following the Baseball Game, which begins at 6:05 p.m.
See How to Train Your Dragon on the giant inflatable screen at Tipping Point in Hampstead. Facepainting starts at 7 pm. Show starts at sundown. 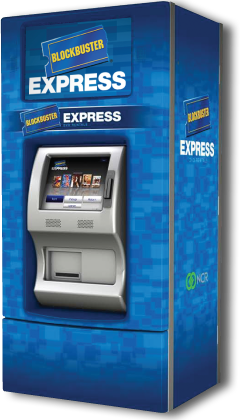 Code BBXMONDAY will get you a free one night $1 DVD rental at a Blockbuster Express kiosk. What movie will you rent today? The movie I have been wanting to rent is still a Hot Title, which means I can't use the code on it, so I will wait. I wonder how long it takes for it to become a regular rental.. Remember it's one code per card. Don't forget to return it before 9 pm tomorrow to avoid an extra night charge. Now you can sign up to get the codes texted directly to your phone. Set sail for the Carribean with Captain Matt on Pirate Day. Dress in your pirate gear! Children's author Dr. Mimi Johnson will read her book A Day In The Life of Diva and introduce kids to the real Diva the therapy dog. Ms. Brenda Henson, County Extension Agent, will share Ham It Up, a program with the oppurtunity for participants to create their own stories using various props. A visit from the Montgomery Zoo! Deputy Dave will be there. Learn about City Safety. Storytime: Penelope and the Preposterous Birthday Party and Celebrate the 4th of July with Champ, the Scamp. Birthday Coloring Sheet activity. Explore Australia with Andy Armadillo From Texas Road House Grill. Then pictures and a craft. Stories from the Outback. Mr Sam Wallace and company from AUM will entertain. Followed by a craft. Check your inbox for an email from Earth Fare with a link to a coupon for 2 FREE Tilapia fillets with a $10 purchase. The coupon is only good in Montgomery and Auburn, AL & Raleigh, NC, so you won't find it on the Earth Fare site. It's good through Sunday 6/26/11 or while supplies last. If you haven't signed up for the Earth Fare Welcome Home emails, you should, because they send out city specific emails like this quite often. Tonight is Family Dinner night and there are also some other coupons that are still valid you can see all the info on that here. There is no shortage of fun free things to do today around the river region! I was looking at the calendar and thought you might like a reminder. 10 am Governor's Square Branch Library (Grades K-5th) Tammy Chavers, ventriloquist, and her "friend" Charlie will perform for the children. 10:30 am Morgan Memorial Branch Library (Preschool) Learn how ice cream is made with Blue Bell Ice Cream, sample and read stories about ice cream. Art Project: cover purple chairs with stories from all over the world. Remember! Every Thursday night at Earth Fare from 4-8 pm, kids eat free with an adult dinner purchase of at least $5. Don't forget your coupon for $5 Ribeye and Free Insect Repellent! McGehee Rd. Super Foods does NOT double coupons or take internet printed coupons. Bummer. Like most of these local stores, the best deals are usually on meat and produce anyway. So, it's not a total loss. $1.98/lb is a good price for boneless, skinless chicken breasts and I'm always on the lookout for tomatoes priced close to or under $1 per pound. Check out the entire ad and let me know if you see anything else great. There are 5 locations of AG Stores: Prattville, Union Springs, Ft. Deposit, Montgomery and Haynevlle. These are the best deals that I see this week. Check out the rest of the ad and let me know if you see something else noteworthy. Use code: GOODSTART to get a FREE one night, $1 DVD rental from Blockbuster Express. Code expires at Midnight. These are the best deals this week at McGehee Road Super Foods. If you happen to live near an AG Store then you can get some great prices on fresh meat and produce this week until 6/21/11! AG stores are located in Montgomery (Cloverland), Union Springs, Prattville, Hayneville and Fort Deposit. You can check out the whole ad here. There is a LOT going on this weekend around here! I hope I didn't miss something. If you know of something else happening, please leave a message on the River Region Family Facebook Wall. Noon -8 pm Family Summer Camp at Bass Pro Shops FREE Crafts, Workshops and S'mores cookout from 7-8pm. Remember you can always check the River Region Family Calendar for fun things to do! This Saturday from 5-7 pm at Centre Court in Eastdale Mall, Family Fun Night continues with a special presentation from The Montgomery Zoo. *Family Fun Night specials and discounts are valid from 5 – 7 p.m. with the exception of ice skating, which must be used during the last skating session from 6 – 8:30 p.m. Children must be age 10 or under and accompanied by an adult. The 20th Annual Firefighter Combat Challenge will be held in Montgomery this weekend, June 17-18, 2011. This competition promotes firefighter fitness and highlights the readiness and skills required of them to meet the demands of their job. The Challenge is being held in conjunction with the annual conference of the Southeastern Association of Fire Chiefs June 16-18 at the Montgomery Convention Center. Competition events will be held in the city parking lot at Commerce and Tallapoosa streets, with races set to begin at 5 p.m. Friday, June 17 and resuming Saturday at 10 a.m. Kids will enjoy the Kid's Fire Fighter Combat Challenge. Click here for videos of the Kids Challenge. You can take the new Boot Challenge to print a coupon to trade in your insect repellent containing DEET for an herbal insect repellant. PLUS! Don't forget your coupons for 25 cents a pound bananas, $1 cereal and $5 off $20 purchase! Join River Region Lean this Saturday, June 18, 2011 from 10 am to 2 pm at Eastdale Mall for a FREE Wellness and Nutrition Fair. There will be live demonstrations by Montgomery's Fencing Club, CrossFit and the Taoist Tai Chi Society. There will also be samples and giveaways! You can also register to create a free profile and log your progress, keep track of your fitness goals, share them with others and get encouragement from friends. Check your email for an Earth Fare coupon good for $5 off a $20 purchase. (Good only 6/14-6/19/11 in the Montgomery and Auburn stores.) If your Publix lists Earth Fare as a competitor (check with your store), then you can use that coupon at Publix. Coupon expires 6/19/11. Also, log in to your Earth Fare Welcome Home account and click on Quimby the dog to print a coupon for $1 for a box of Earth Fare Cereal and 25 cents a pound organic bananas! (Limit 4 pounds per person) These coupons expire 6/19/11. If you haven't signed up for the emails, go here to do that! Guthrie's Of Montgomery is offering a coupon good for a FREE drink with ANY purchase over $3. Today Only! Chick Fil A at Eastdale Mall is offering FREE Gallon of Sweet or Unsweet Tea when you purchase any Nugget or Strip Party Tray. Valid 06/14/11 through 06/18/11. One gallon per order. Sign in to your Murphy USA E-Offers account or click here to print a coupon for a FREE Red Strike Energy Shot. If you haven't signed up for Murph E-Offers, then go here to sign up! If you are interested in seeing some of the past offers, you can go here. It's another free DVD rental from Blockbuster Express! Use code SWEETMONDAY for a free $1 DVD rental today only! Code expires at Midnight! Don't forget to return it before 9 pm tomorrow to avoid being charged for an extra night. If you live or work in Prattville, "like" Chick Fil A Premiere Place, then print their fan page and take it in to get a FREE chicken biscuit or chick-n-minis during breakfast hours tomorrow (6/14/11) from 6 am -10:30 am. See their status updates for more details.